Update: check out my list of recommended Blending accessories. Your site is extremely helpful….it gave me some critical information when I needed it most. I own a VM that has stopped working, forgot I have long warranty…. Thanks for reminding me. I received an email from yall about the refurnished vitamix. There was a number to call to request the standard one with a smaller container. I mistakenly deleted the email can I get the number again? Also, do you know the height of the standard with the smaller container? Thanks! The height of the standard plus 48-oz is 17.4 inches. 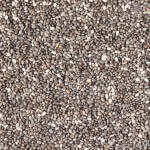 For phone orders, call one of my contacts: Brenda is at 800-848-2649 Ext. 2305 and Janet is at Ext. 2316. To get free shipping and give me referral credit, please mention code 06-007021. Where can I buy the case for the vitamix 750 to keep it quieter ? Sorry, somehow I lost track of this comment. There is no Vitamix sound enclosure for the Pro 750. There are third-party ones, but they void the warranty because they may not provide adequate cooling ventilation. You can reduce the sound a little by using the machine on something soft like a dish towel or foam pad. You can also get ear muffs, which I wrote about a while back. 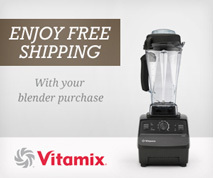 The Vitamix website offers an 8 year warranty on the refurbished model for an additional $75. Is it worth it? Oh dear, I totally missed this comment. I’m sure this reply is much too late for you, but perhaps it will help other people who see your question. 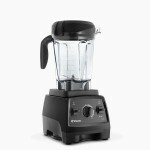 I wrote up a discussion of the extended warranty over on a page about Vitamix warranties. 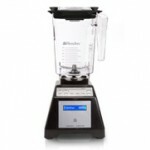 I have VitaMix blender Mode; 2200. It is working fine except that the blades have become dull. I am unable to sharpen them because the blade assembly cannot be taken out. Could you please recommend a canister (plastic or stainless steel) with the blade assembly which I can purchase? Of course, it should fit the model I have. Even a competitor’s canister would suffice. Thanks for the help. That model is at least ~40 years old, and Vitamix moved away from that drive system ~25 years ago. I do not know of any new container that will fit it. One other thing to keep in mind is that Vitamix will give you $100 for your old machine if buy a new (or reconditioned) one: trade in program details. Have you tested out the new container that uses a disc yet? What can you tell us about it? Are there upcoming pricing deals for it? I just got it, and I’m going to test it today! So keep an eye out for my write-up, which I hope to finish sometime this weekend. I do not know of any discounts for it.